In Adair v. Forensic Psychiatric Services Commission (No. 2), 2017 BCHRT 147, a decision of the B.C. 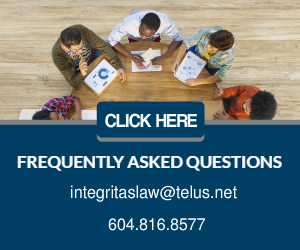 Human Rights Tribunal (the “Tribunal”) in July of last year, the Tribunal made it clear that the employer’s duty to accommodate, does not extend to perfect accommodation. Mr. Adair had worked for the Forensic Psychiatric Services Commission (the “Commission”) for approximately 13 years and held the position of Forensic Security Officer (“FSO”). All FSOs were required to have a valid class 4 driver’s license. In late 2012, Mr. Adair, had to go on a medical leave of absence as a result of suffering an epileptic seizure. During this leave, his class 4 commercial driver’s license and his class 5 license, was cancelled by the Office of the Superintendent of Motor Vehicles. In November 2013, Mr. Adair informed the employer that he had been cleared to return to work in January 2014 but that his class 4 driver’s license would not be reinstated until he was seizure-free for a period of five years. In December 2013, Mr. Adair and his union met with the employer to discuss Mr. Adair’s return to work and accommodation. Prior to going on the medical leave, Mr. Adair had primarily worked the day shift and his duties included driving persons held in custody to court hearings and medical appointments. As Mr. Adair’s class 4 license had been cancelled, this was no longer possible, so the Commission proposed an accommodation whereby Mr. Adair would mostly work night and evening shifts, which did not require him to do any driving. Mr. Adair was unhappy with the proposed accommodation and sought to work the day shift. He claimed that working the night shift would have resulted in decreased pay and that it would also mean that he would not get to see his children. He had two young sons aged 8 and 11 and his family was very important to him. He then proposed working 90% evening shifts and 10% on the night shift relief. A few days after returning to work, Mr. Adair’s union filed a grievance on his behalf. Mr. Adair subsequently also filed a human rights complaint against the Commission alleging that the Commission had discriminated against him on the basis of physical disability. At the hearing, Mr. Adair claimed that while he had proposed the evening/night shift combination, he had done so reluctantly because it appeared to be the only way to retain his job and his pay rate. He also stated that the Commission knew that, notwithstanding his proposal, he was seeking better accommodation. For him, the best accommodation was to continue on the day and afternoon schedule and for the employer to permit him to drive using his class 5 driver’s license, or to have a colleague drive when it became necessary to transport patients. Mr. Adair also stated that working the evening shift had a “huge” effect, particularly on his younger son, his wife was “burnt out” and it caused “undue hardship” on him and his family. The Tribunal reiterated that the search for accommodation is a multi-party inquiry. While the creation of a reasonable accommodation was ultimately the employer’s responsibility, the employee also had a role to play, including proposing reasonable alternatives where possible and cooperating in a reasonable accommodation plan proposed by the employer. The Tribunal further noted that the “object of the exercise in accommodating an employee with a disability is to ensure that an employee can work if the employee is able, and to remove barriers to continued and productive employment where that can be done without undue hardship”. Applying the above principles to the facts, the Tribunal found that the employer’s accommodation in this case was reasonable. The Tribunal further noted that even if Mr. Adair had brought his complaint as one of family status, he would not have been successful “because the scheduling did not interfere with his obligation to provide child care or any other legal responsibility for his children, and his ability to continue to perform his job”. • An employer is required to provide reasonable accommodation. It does not have to be perfect. • An employee cannot insist on a perfect solution, or a solution that is preferable to the employee. • Any accommodation that is offered should be designed to balance the needs of the employer as well as the employee. • A grudging attempt to provide the minimum accommodation possible, may be found to be unreasonable.